I am a proud mom of twins, plus one. I welcomed our new baby daughter in September, and since that time life has been full of ups and downs. Thankfully, more ups since my type A personality (that’s putting it nicely) made sure to prepare my twins for a new baby. I can’t say it went seamlessly, but I think it’s going great now. 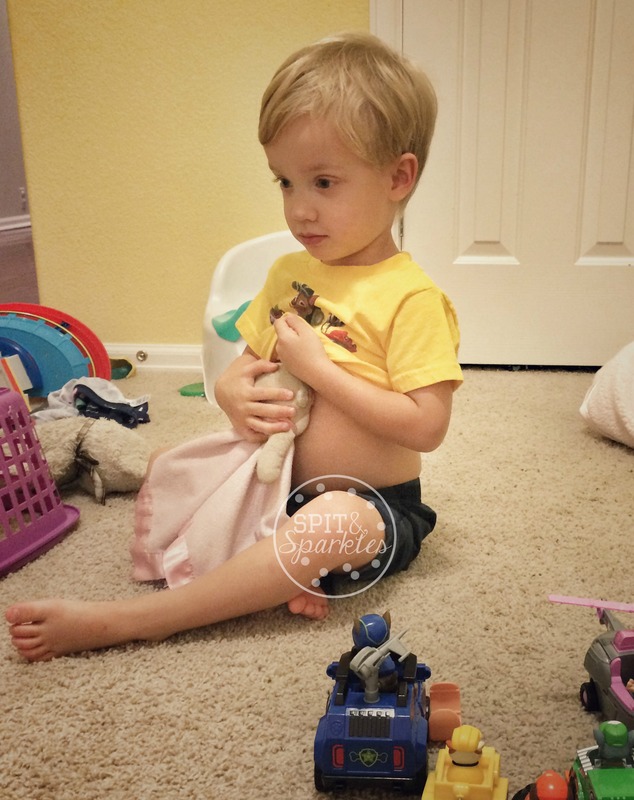 Becoming a big brother or sister is an exciting and often scary event for toddlers. Multiple that by two, and I wanted to run for the hills at the thoughts of juggling two jealous and rowdy three-year-olds and an infant. But you know what? My twins are WONDERFUL big siblings. I had to capitalize that because it’s just so true, and worth shouting! 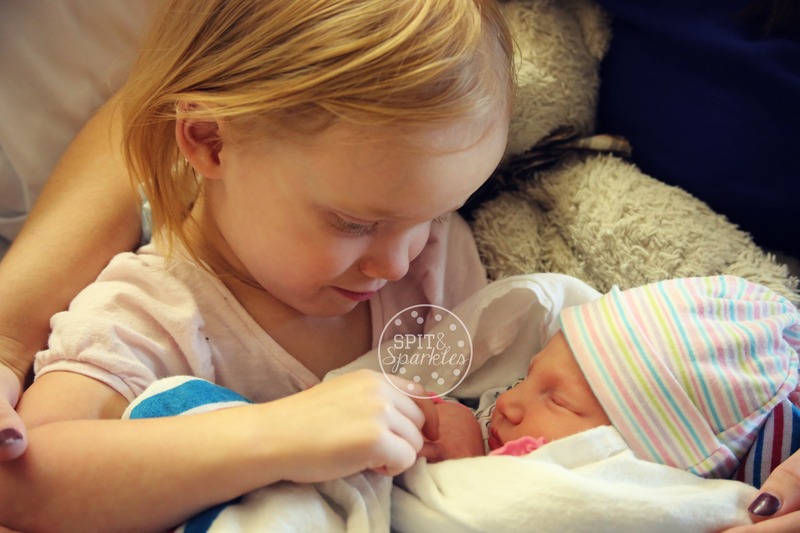 They amaze me every day with their sweetness and understanding of the new baby. No jealousy. No roughhousing her. No yelling at her. They are as much in love with Harper as Mommy and Daddy are. Maybe even more! The first step in preparing the twins for a new baby was just talking about a baby in my belly and simple role play with baby dolls. I showed them how to take care of a baby by pretending to breastfeed, change diapers, rocking, etc. I would then ask them to take care of their lovies like a baby. 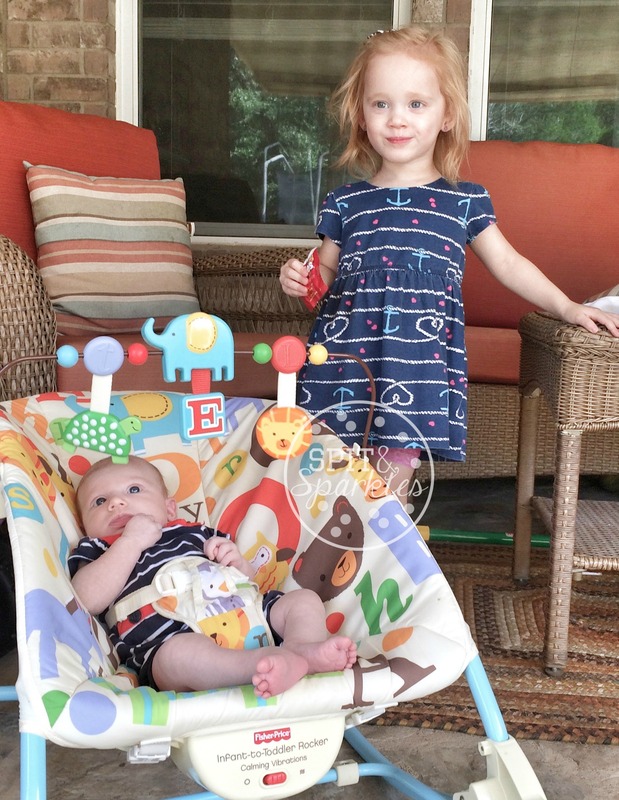 Lynley loved putting her Teddy to sleep by singing “Rock-a-bye Baby.” Corbin liked to feed his little, pink monkey with his belly button, cause that’s totally how you nurse a baby! It was beautiful to watch. The next step was getting out all the baby gear. Babies have a lot of junk, and my twinsies think everything belongs to them. I got the junk out early, so they could get over the “shiny new object” syndrome in enough time before the baby arrived. Yeah, that one didn’t go quite as well as expected. There were some tantrums over why the tiny clothes didn’t fit Lynley. Conversations with a toddler are tough when you both have so much sass it pours out of you. “But it’s pink, purple, and sparkly and soooo cute!” “Obviously, they’re mine mommy!” “Yes, obvi everything that fits that description is yours, Lynley.” Corbin was more interested in all of the baby toys. This wasn’t a surprise, and there was no harm in letting them play with some of their old toys. It was actually a nice distraction on days I wasn’t feeling well during my pregnancy. Bring something out they haven’t seen in two years, and it’s like ice cream! Aside from role play and incorporating baby gear into our routine, we also started letting the twins play more by themselves. This, I would say, is the biggest preparation any child needs before the arrival of a new baby. I’ve been a stay-at-home mom since the twins were born. Aside from a babysitter a few hours a week, I’m all they’ve had in their daily life. I love playing with Corbin and Lynley and watching them learn and grow, but I knew my time with them would be drastically shortened. In order to prepare the twins for a new baby, I started independent time. Usually, this consists of them reading books or doing puzzles quietly in their rooms. Sometimes they chose to play together, other times separately. This is something that has worked wonders for our family. We’ve found it’s not only beneficial for when I am occupied with Harper, but also a way to reset their moods and to transition from more high-energy activities like outdoor play. Other tips… install the extra car seat earlier than you normally would to give extra time for your bigger kids to get used to the new seating arrangements. Find a drop-in daycare or hire a sitter to help your twins become more comfortable with other people taking care of them. 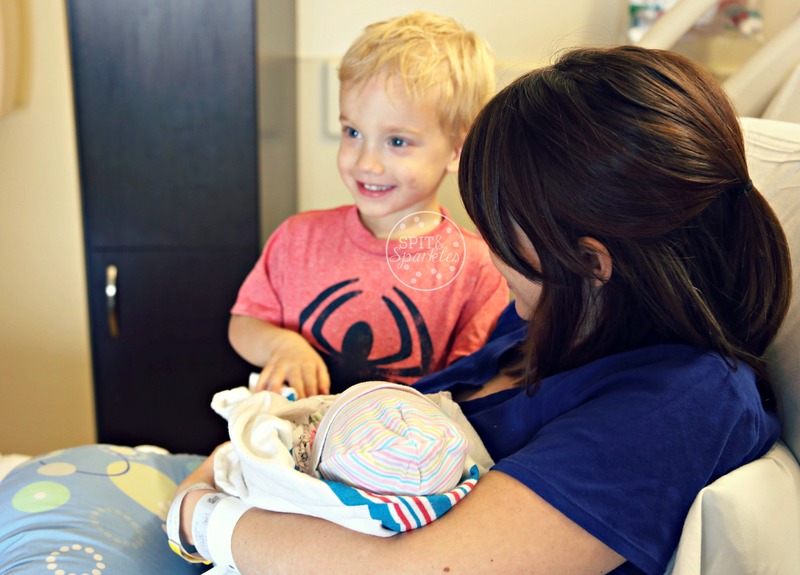 We enrolled our twins in a Mothers’ Day Out program, and let me tell you… it’s a LIFESAVER! 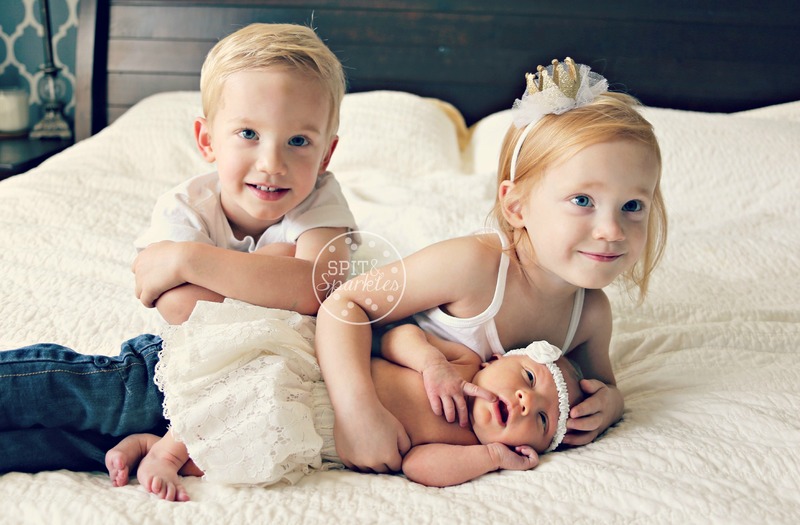 What other tips do you have for preparing a child for a sibling?